The Implied Consent Law in New Hampshire provides that any licensed person operating a motor vehicle automatically agrees to submit to a chemical test of his blood, breath, or urine, if properly requested by police. This means, that all drivers issued licenses by the State of New Hampshire have given their consent to submit to a chemical test if an officer has reasonable grounds to believe that they are operating a vehicle under the influence of alcohol, drugs, or both. 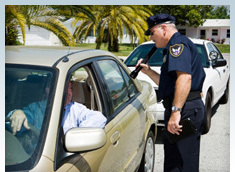 Implied consent gives the arresting officer the right to request a blood or breath test. If you refuse to submit to chemical testing, your driver's license or privileges to drive in New Hampshire shall be suspended for a period of 180 days. This is known as the Administrative License Suspension (ALS). If you have had a prior DWI conviction or chemical test refusal, the State of New Hampshire will suspend your license or privileges to drive for two (2) years. Requesting an Administrative License Suspension Hearing is the critical first step in challenging the ALS suspension. A skilled New Hampshire DWI license suspension lawyer should file a request with the Department of Safety, on your behalf, requesting an ALS hearing, and setting forth each and every basis upon which the order of suspension should be rescinded. If you have been charged with DWI in New Hampshire, and would like to challenge your Administrative License Suspension, do not hesitate to contact the New Hampshire DWI license suspension defense attorneys at Tenn And Tenn, P.A. Please call us today at 1-888-511-1010 for a free telephone consultation of your DWI case.